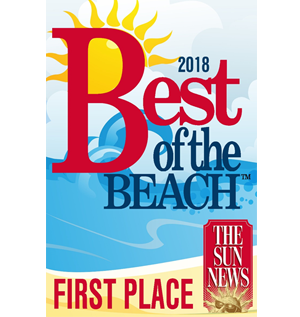 NOW OPEN FOR 2019 SEASON AT 4PM DAILY! 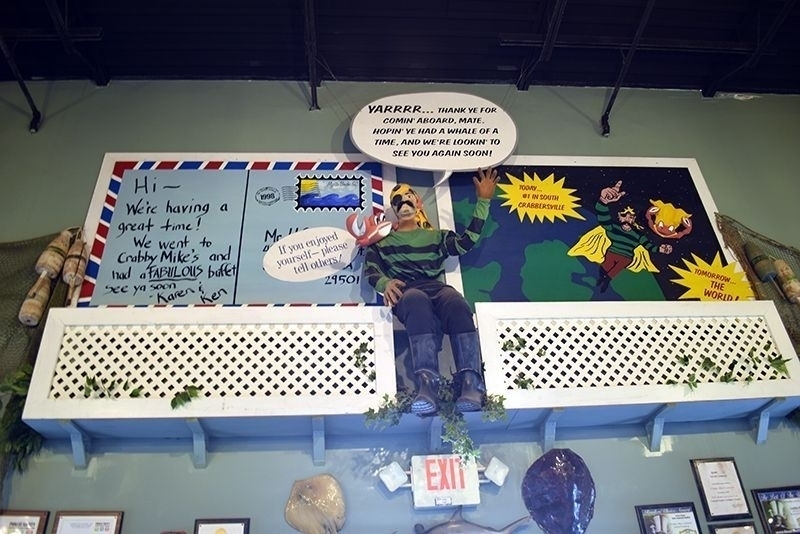 Crabby Mike is an ornery, but likeable pirate-type whose greatest pleasure in life is giving good eats and showing folks a good time – EVEN if he is CRABBY! For 28 years, Crabby Mike and his staff have been providing the best crab legs and best quality Calabash style seafood buffet in the Myrtle Beach area. 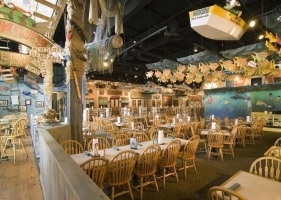 We are known far and wide for our all you can eat Alaska Snow Crab Legs and delicious slow roasted Prime Rib. Our seafood buffet has the best and freshest seafood that is boiled, steamed, broiled and fried. 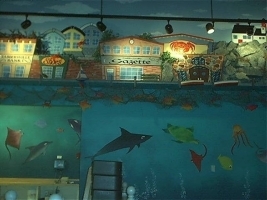 Or try our cold seafood bar that has fresh boiled spiced shrimp, mussels, crawfish, shrimp pasta salad and seafood pasta salad. Tons of crab legs eaten! 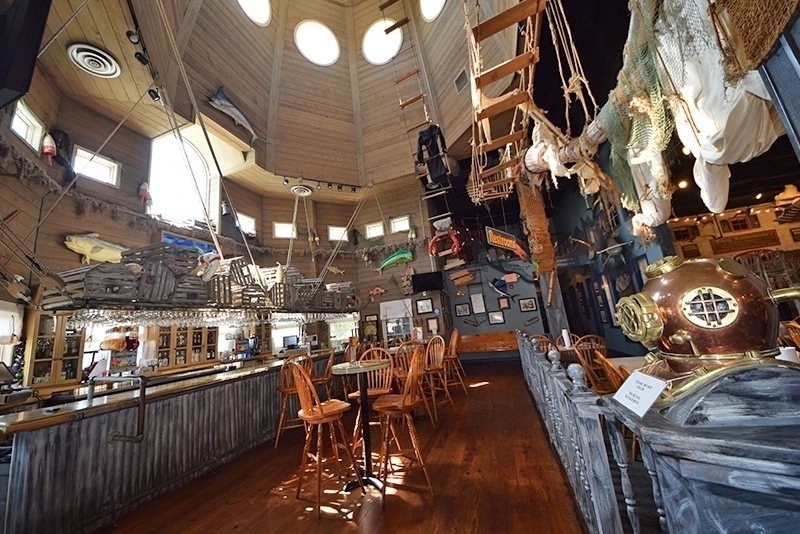 Relax in our Lighthouse tavern! 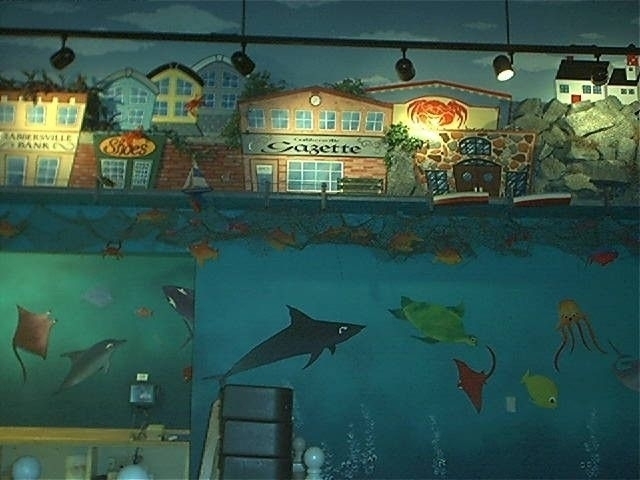 Not in the mood for seafood? 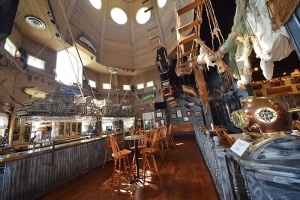 Our all you can eat buffet also includes slow roasted prime rib, steaks, both fried and baked chicken, ham and pasta. 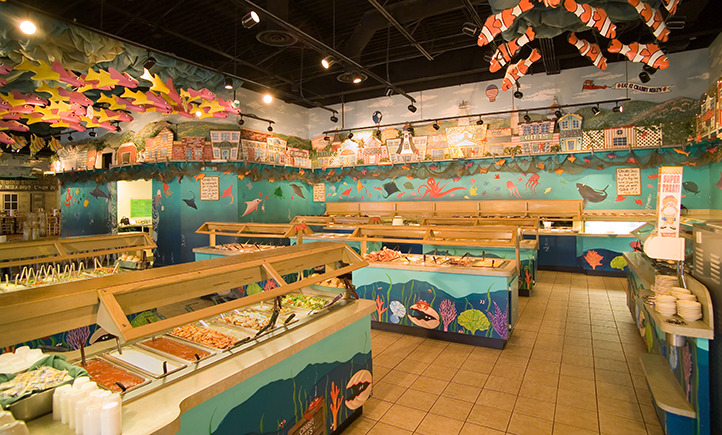 We have huge soup and salad bars filled with the freshest ingredients in the Myrtle Beach area. Don’t forget our dessert bar! Cheesecake, fruit cobblers, ice cream, brownies, cakes and pies – something for one and all! 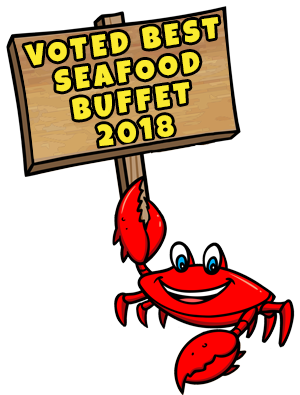 With over 100 items on our seafood buffet – you can eat at Crabby Mike’s every night for a week and have a different meal every time! 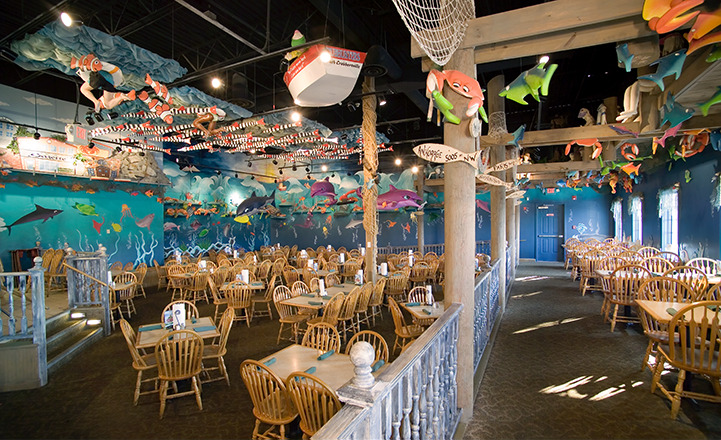 Our family friendly seafood restaurant is sure to please everyone! Our décor is one of a kind! 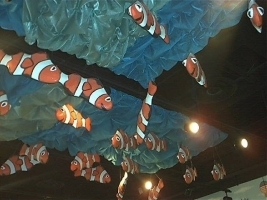 Where else can you eat “under the sea” with fish floating above your head? 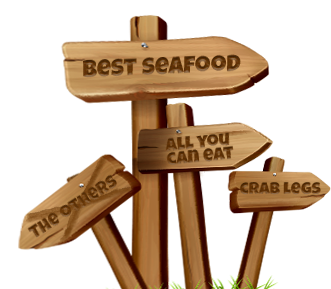 Or you may choose to dine with the best crab legs in Crabbersville sitting outside a village shop. 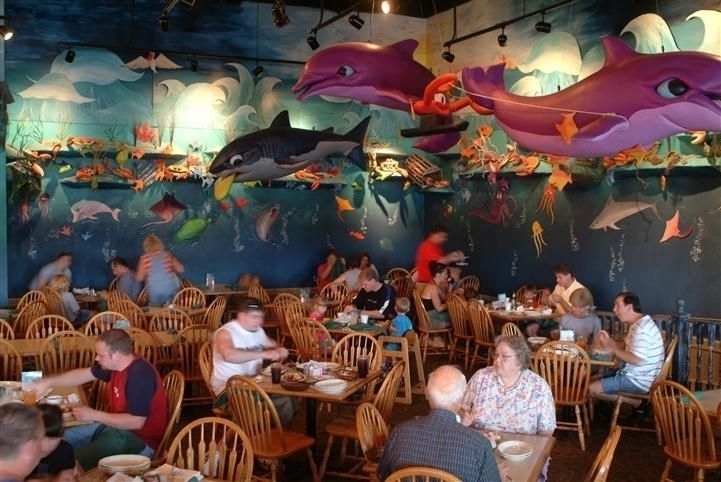 No matter where you sit, Crabby Mike’s is an entertaining, charming and silly place to dine with the best all you can eat seafood buffet for the whole family! Keep your eyes open for Crabby Mike! 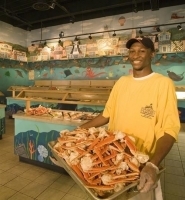 You may see him outside playing with kids and adults alike or you may see him eating some delicious crab legs. 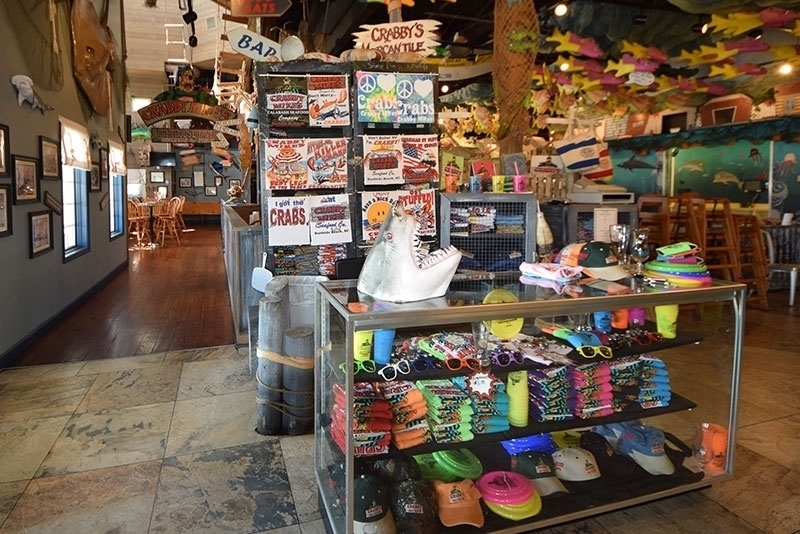 He may be ornery – but he’s a lot of fun! If you are visiting the Myrtle Beach area and want the best all you can eat seafood buffet in town, come to Crabby Mike’s. We are located in Surfside Beach, SC just south of Myrtle Beach.